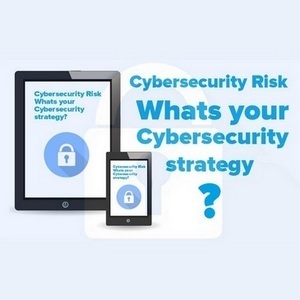 Cybersecurity Risk - What's your cyber-strategy to protect yourself? 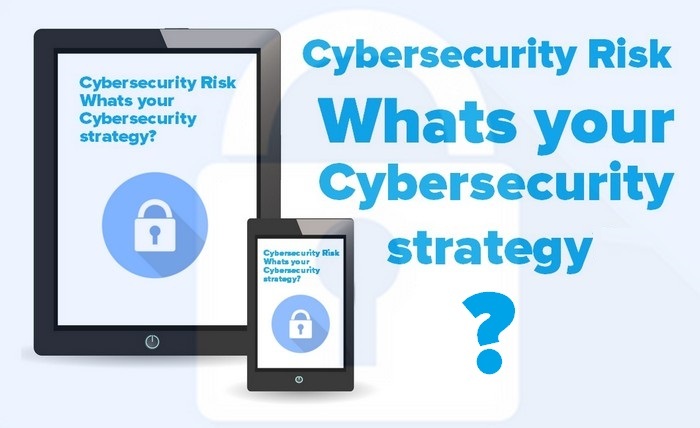 Home » Guides / Tutorials » Cybersecurity Risk – What’s your strategy for Cybersecurity? Cybersecurity Risk – What’s your strategy for Cybersecurity? In this article, we will be discussing “Cybersecurity risk” and helping you with your Cybersecurity strategy to manage your risk level. Cybersecurity sounds like a word reserved for large companies, governments, and militaries around the globe. Most people have become aware of the term from news outlets reporting breaches and tampering. Unfortunately, many of those same people feel cybersecurity is too advanced a topic for them. They just don’t consider it in their daily lives. They don’t really have any strategy to negate their cybersecurity risk and that could prove a costly mistake. Most people encounter digital worlds both at home and at work. Cybersecurity risk should be at the forefront of the mind of anyone who uses a digital device. Several surveys have been conducted recently regarding cybersecurity in the workplace. The number one fear that employers have is their employees negatively impacting a secure environment. Safe practices at work are not enough in the digitally dominated environment that exists today. Everything from mobile phones to refrigerators can connect to the internet. It is increasingly important for people to practice proper digital safety at home. Dealing with cybersecurity risk can sound daunting, especially when considering protecting your personal devices and home networks. However, it is possible to start today and build a cybersecurity strategy to protect yourself from cyber threats. You may encounter malicious cyber attacks anywhere and at any time. As consumers walk through the mall, shop online, or transfer funds in a bank account, mobile devices can be vulnerable to prying eyes with ill intent. It is virtually impossible to remove oneself from all forms of technology. Even if you manage to keep most of your information private, companies you interact with may not. From delivery services to home repair companies, you are bound to encounter someone utilizing a mobile phone or tablet to collect data from you. Cybersecurity has become very important in everyone’s lives. It is a common misconception that hackers focus on large companies or extremely valuable targets. Malicious attacks are often initiated on the most unsuspecting or susceptible victims. A vulnerable home network is far more appealing to hackers than a heavily guarded corporate office. It is vital that individuals understand that cybersecurity is a reality. And that they should be acting to protect themselves against digital attacks. Understanding the role you play as an individual in the greater scheme of cybersecurity is key to success in today’s workplace. Many security issues experienced by businesses are created by human error. From opening a malicious link to leaving an unsecured device on the train, employees are often responsible for security breaches. Most hackers feed on ignorance to accomplish the goal of gaining access to supposedly secure data. Many malicious malware attacks have originated from simplistic phishing scams that could have easily been avoided. Knowledge is power when it comes to cybersecurity. Thus, most employers positively view staying up to date on the basics of security. If you refuse to remain current on cybersecurity measures, you could be putting your career at risk. Even those who do not intend to be the means of access for a hacker will be held accountable by employers. And this often includes termination. Ignorance is no excuse for putting the future of your company in the crosshairs of a public relations nightmare. Companies frequently offer education on cybersecurity and digital safety. Take advantage of these offerings to ensure you are up to date on new issues and security precautions. Cybersecurity discussions are not reserved for those in the IT department. The topic of digital safety permeates all facets of companies. For example, if you work in sales, a strong understanding of cybersecurity may help build confidence in your company amongst clients. HR professionals can develop strong training programs to instil corporate cybersecurity awareness. Risk managers should have a response plan in place for any breaches in data security. Cybersecurity impacts each level of a corporation, from practising safe digital behaviour to having input on security projects. Each employee should be inspired to stay informed regarding cybersecurity and current issues. Being diligent about the cybersecurity risk in the workplace can ensure you are not putting you or your company at risk. However, bringing those strategies home is just as important. Practising proper cyber safety is essential to keeping your personal information and any work information you bring home safe. There are many simple steps to take when entering the digital space from home. Most of them are similar to cyber safety in the workplace and will remove cybersecurity risk. This advice is shared over and over in discussion about cybersecurity. But many people do not act on it even though it is one of the easiest steps to remove cybersecurity risk from the home. Those who use one password for all their logins are incredibly vulnerable to hacking if the password is ever decoded. Consider using multiple email accounts for different needs. This will allow you to have a separate account for risky things like signing up for random newsletters and one for secure items like bank accounts. Having multiple email accounts can make it more challenging for hackers to gain access to information. If one email account is breached then just one domino topples. The use of different passwords, in general, should be part of any cybersecurity strategy. Another really simple quick fix to protect your home is to utilize a quality anti-virus and anti-malware software on your devices. This can help catch an intrusion before it becomes a bigger problem. Smartphones have made it truly possible to work from anywhere. Unfortunately, this means that there are more opportunities for those with ill intent to attack company data and private information. Users often connect to free Wi-Fi networks while travelling to save on data fees. These networks are prime targets for hackers, given the complete lack of security features of the networks. However, you can take steps today to secure your mobile phone, too. Installing a Virtual Private Network (VPN) on your Android device could keep your device safe while connected to unsecured networks. The VPN acts as a secure tunnel, sending encrypted information to and from the destination. This allows you to feel more comfortable that any data being sent is safe from prying eyes. You should also consider backing up data to a secure cloud server while travelling. While many cyber-attacks involve stealing private information, they can also lead to data loss. Loss of important data can be crippling to a company and should be protected against by backing up valuable files on a regular basis. Artificial intelligence (AI) is the hottest topic amongst tech developers everywhere. The development of this technology has been occurring for some time but is entering a state of rapid advancement. While much of the AI technology represents the potential for amazing technological advancements, it also presents a new challenge to cybersecurity professionals. AI has the capability of learning behaviours from massive sets of data. This data can teach the AI how to manipulate vulnerabilities and take advantage of them. How do these AI security concerns impact individuals? As we have seen, many digital security breaches result from human error. AI is developing the ability to craft convincing phishing emails that ensure someone will open the link. This is just one simple sample of how AI is turning into a cyber threat. Individuals must prepare themselves to understand these threats and be able to evaluate them. With an increase in items connecting to networks, the threat of malicious cyber-attacks is growing. Unfortunately, developers and companies are not keeping up with the rapid growth of cyber threats. Individuals cannot rely on others to ensure digital safety and must take precautions of their own to create a secure environment online. The threats have gone far beyond simply hacking sources of information. Cyber terrorists and nation states attacking each other have advanced malicious attacks to a new level. The variety and sheer volume of cybercriminals have created a digital environment where no one is safe. As the threat has grown, it is impossible for individuals to assume cybersecurity is of no interest to them. Everyone will encounter a cyber threat at some point if they have not already, given the current rate of growth in cyber-crimes. While physical safeguards like anti-virus software is a key piece of keeping your information and data safe, there are many other important aspects of protecting your information to consider. Cybersecurity goes beyond protecting from threats like data theft. It also includes how you want your information secured. Protections can range from privacy settings on social media accounts to using encrypted messaging platforms. Identifying what types of information you are concerned about can help you develop a strong personal cybersecurity defence plan. Not everyone owns bitcoin, so the threat of a hacker stealing cyber-currencies is not part of every personal cybersecurity defence plan. Maybe you are concerned an employer may find some information you would rather they did not have. Knowing what kind of data you need to protect is half the battle. A common reason why many people ignore cybersecurity is that it can be overwhelming for them to tackle. But once you have narrowed down your concerns for your own digital safety, you can approach planning which security methods are most appropriate for you. Having a concise idea of what you need can take the daunting feeling out of acting on cybersecurity. Cybersecurity is an ever-changing environment. Hackers seem to stay one step ahead of the game. While you may have been hesitant or neglected to start paying attention to cybersecurity issues, now is the time to start. By 2020, it is anticipated that over 200 billion “things” will be connected to the internet. Cars, planes, houses, and entire cities are part of the giant connection. This dependence on technology should instil a desire to secure these massive amounts of information. Government officials across the world are reeling at the thought of cybersecurity moving forward. It is becoming more challenging by the day to keep valuable data and information safe from hackers. This can lead to a feeling of futility for those without sophisticated protection plans, but it should not lead to apathy. While you may have waited longer than you should have, now is the time to take on the task of securing your digital world. Many people assume that because they have been “safe” until now, they are guaranteed safety moving forward. This is not the case as cybercrime becomes more widespread and effective by the day. The best cybersecurity strategy starts with the individual. Practising cyber safety at home and work can go a long way toward keeping information safe and removing cybersecurity risk. Even for those who have never done anything to protect themselves in the past, there is no time like now to start keeping an eye on your digital safety by setting up a cybersecurity strategy. 1/ Install a Virtual Private Network (VPN) on mobile devices. You can download a free VPN to protect your mobile devices. 2/ Always have a strong password for your wifi-connection. 4/ Use different passwords for all accounts that you have. If A password is breached only the contected service to that account is at risk. You have stopped the dominoes toppling. Do you take cyber-security seriously? Cybersecurity Risk - What's your Cybersecurity strategy? In this article, we will be discussing "Cybersecurity risk" and helping you with your Cybersecurity strategy to manage your risk level. Very informative! And yes I use a VPN but mostly on my mobile device. I’m studying about Cyber Security, It will be a need of our future and without this, there will be no mean of technology. This is one of the best Article on Cybersecurity Risk and the way its written is just amazing. I really loved this post. Thank you and keep on posting more such important articles. Cybersecurity threat is not new but with time it’s going to become dangerous. Most of the people aware of it because daily new cases come in limelight. But protection is important and your post is helpful for it. You can make more posts as it is and I got lots of information about cybersecurity. We can take advice from cybersecurity companies. Thanks for your great post. Very informative and timely. Thank you so much for sharing. All the best! Nice information keep it up! I would like to share this because its very helpful for me and thanks for share with us. Thanks for clearing it up. Very informative post. Keep sharing! Splendid blog post. Most of the time is use VPN and i want to know that is it safe to use? Thanks for sharing here with us. Worth reading. I believe that we must always be careful on the web. Thank you for sharing this, will definitely share this with my family, friends, and colleagues. Very accurate and relevant. With the continuous updates in technology, one should always be aware and wary of their safety on the internet. Thanks for sharing this!